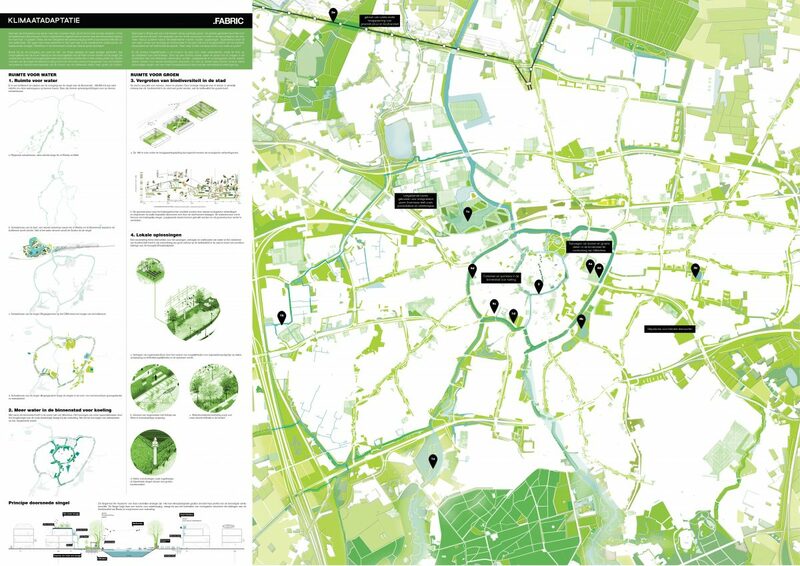 Atelier Stad Breda is a study commissioned to FABRICations by the City of Breda and the Ministry of Infrastructure and the Environment, with special focus on three themes: energy, environment and economy. These themes are viewed in three levels of scale and further divided into smaller sub-themes. Energy is focused on a quick inventory of the potential for solar, wind and geothermal energy. Environment is focused mainly on water and green structures. 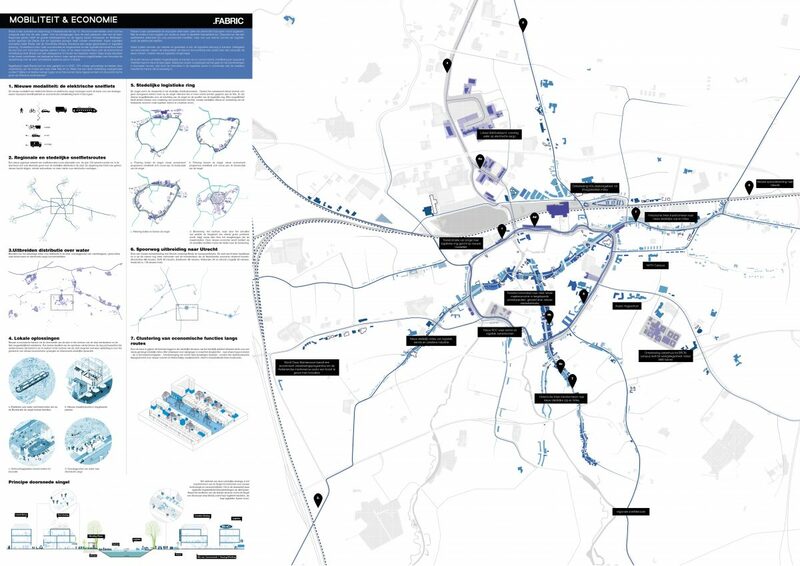 From an economic point of view, Breda is depicted as a city of creative industries where addressing mobility is crucial. One of the conclusions we could draw based on this quick scan is that sustainability targets are not an obstacle for urban transformation. They help to realize spatial strategies. The old ambition of reopening the historic inner ring will not simply become a priority for the city if it is only considered as an investment in spatial quality. 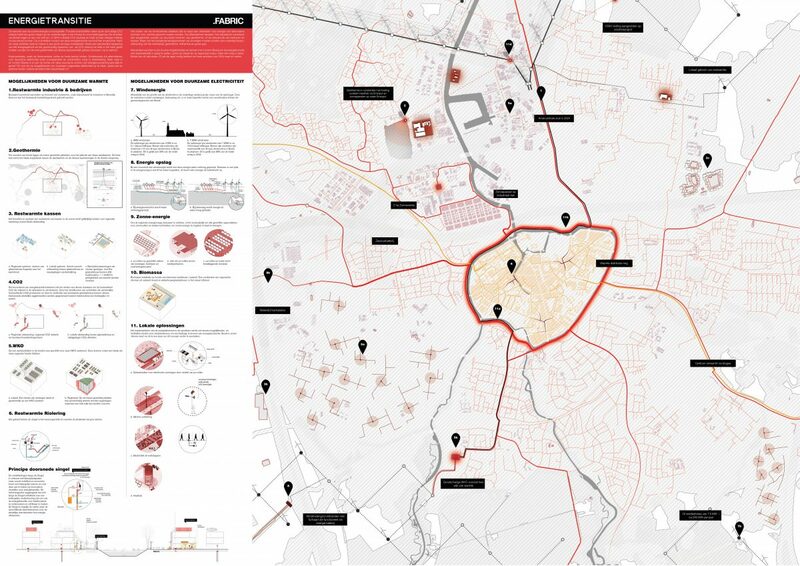 This scan on the regional, city and street scales opens the possibility to combine different agendas at the same location, old ambitions with new opportunities. 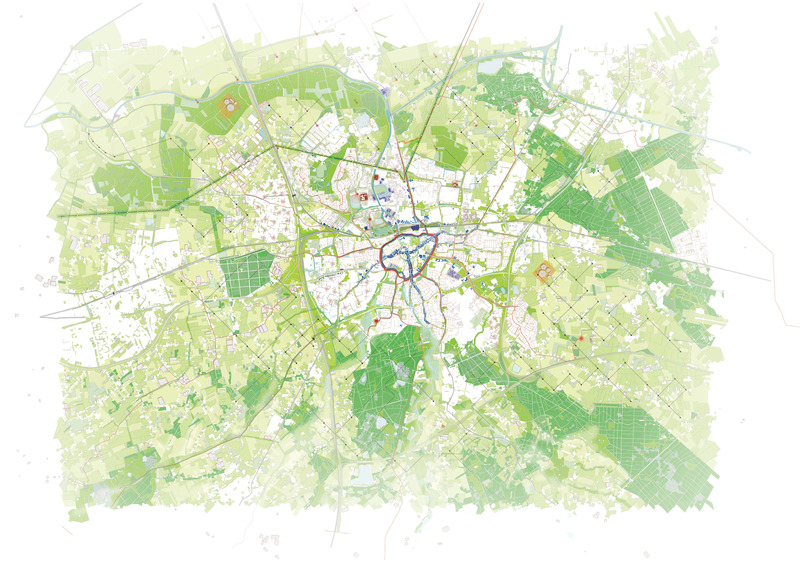 Initiating this process to reduce CO2 emissions using sustainable sources of energy, strengthening the blue and green structures within the city, reducing the use of cars and providing an ultra-modern cycling infrastructure, will result in achieving these ambitions on climate change for 2044. The three strategies are intended to work together in order to shorten the time for change. The combination of these three strategies give strength to each thematic vision and make the whole system more realistic.